College of Law professor David Taylor will present a Presidential Teaching Professor seminar from noon to 1 p.m. Tuesday, Oct. 19, in the Illinois Room of the Holmes Students Center. The seminar, called “Storytelling as an Effective Teaching Tool,” is an opportunity to hear Taylor share some of his teaching expertise and experience with the campus. The topic is not only useful to law faculty and students, but to all NIU faculty and students, said Murali Krishnamurthi, director of the Faculty Development and Instructional Design Center at NIU. Before the seminar, refreshments will be served from 11:30 a.m. to noon. The seminar is open to all, and no registration is necessary. 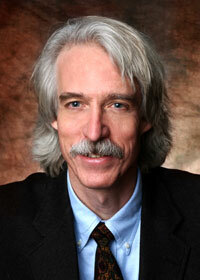 Taylor is the first member of the NIU College of Law faculty to be named a Presidential Teaching Professor. He regularly uses storytelling in the classroom to convey difficult concepts to students and to model storytelling techniques to students who are studying to become trial lawyers. They instill and develop in students an intensity of interest in and an appreciation for the value of the subject. They apply rigorous standards to student performance, inspire students to become the best and stimulate student growth. They command respect and esteem as a teacher. They demonstrate extraordinary commitment to students and their welfare. They explore and develop effective instructional methods and technologies. They work actively with students, faculty, and administrators to improve undergraduate and/or graduate education at NIU. Faculty members must also hold the position of full professor and have worked at NIU for at least six years. Taylor, a Rockford resident, has worked at the university since 1989. He teaches courses related to litigation. Also, he has coached law students in advocacy competitions in trial advocacy, appellate advocacy and client counseling. Before joining the NIU faculty, Taylor worked for Prairie State Legal Services, where he was a staff attorney and deputy director of litigation. For more information about the Presidential Teaching Professor Seminar series, contact Faculty Development and Instructional Design Center at (815) 753-0595 or facdev@niu.edu.